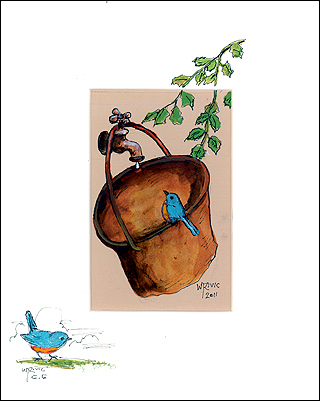 Description: Bird eyes the single drop of water. 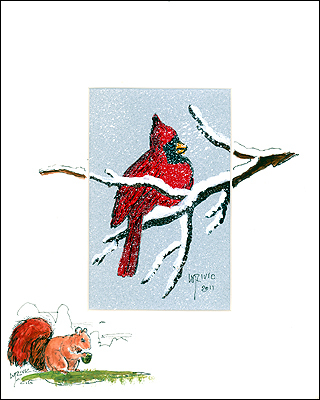 Description: Cardinal fluffs his feathers. Description: They eat their weight every day just to stay alive. 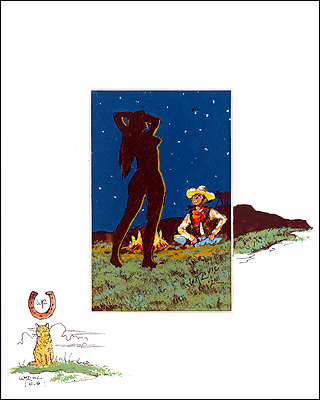 Description: Cowhand thinks of his girlfriend. 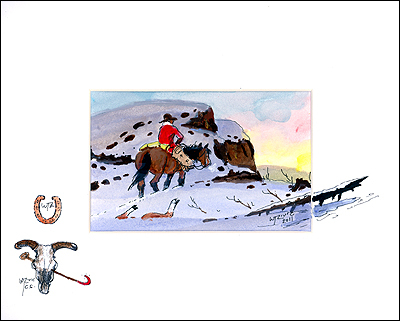 Description: Rancher rides by a fallen steer as he checks Winter losses to his herd. 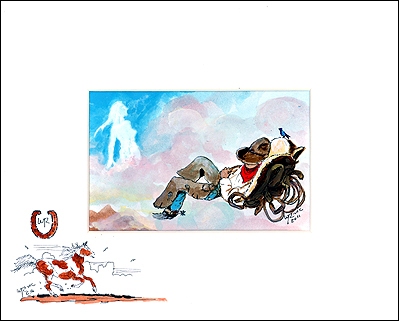 "The High Cost of Winter"
Description: The cowboy beckons the cowgirl to join him in the cool water of the cattle stock tank. 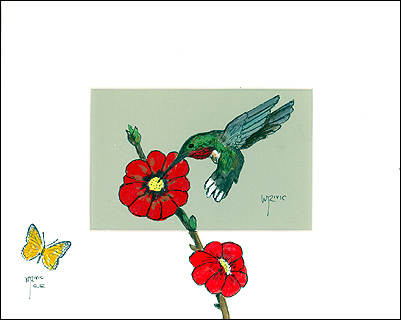 The young woman is hesitant. Description: What a cowboy thinks of on the lonely range. 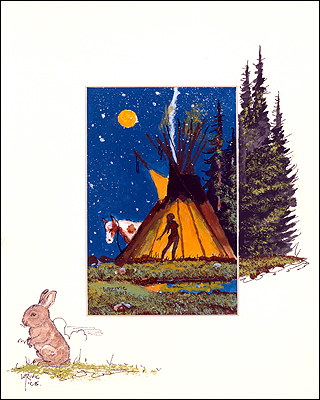 Description: An Indian maiden at home in her tipi. 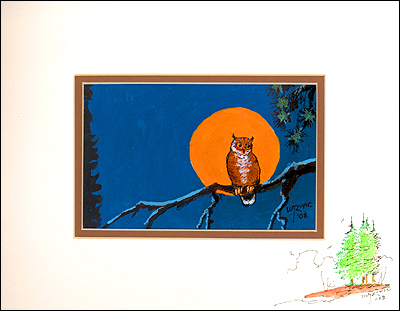 Description: An owl sits on a branch as a harvest moon rises behind him. 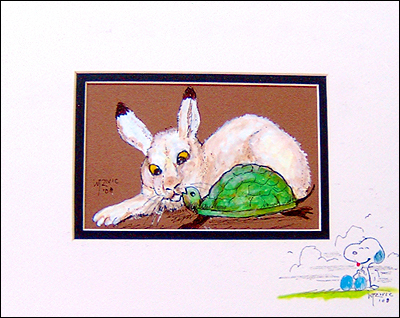 Description: A turtle and a rabbit are both surprised at the discovery of one another.